This one’s for you if you find marketing a little bit TRICKY. The yawny-boring secret to great marketing is to do it consistently. You know. Like every day. RIGHT! But what if marketing just ain’t your thing? And you don’t know WHAT to do. Like. Every day. Well you can try this. It’s a super-doable way of getting a little marketing done every day. And it’s fun too! 1. Start by making your list of 100 ideas. I know. 100 ideas sounds rather a lot. But give this a go. You’ll surprise yourself. Promise! Make list of all local schools. 3. Once you’ve got your 15X15 list, do ONE thing from your list every day! Just one! And you don’t have to do them in the order they appear on the list. I kinda like to do what I *feel* like doing and you probably do too! 4. 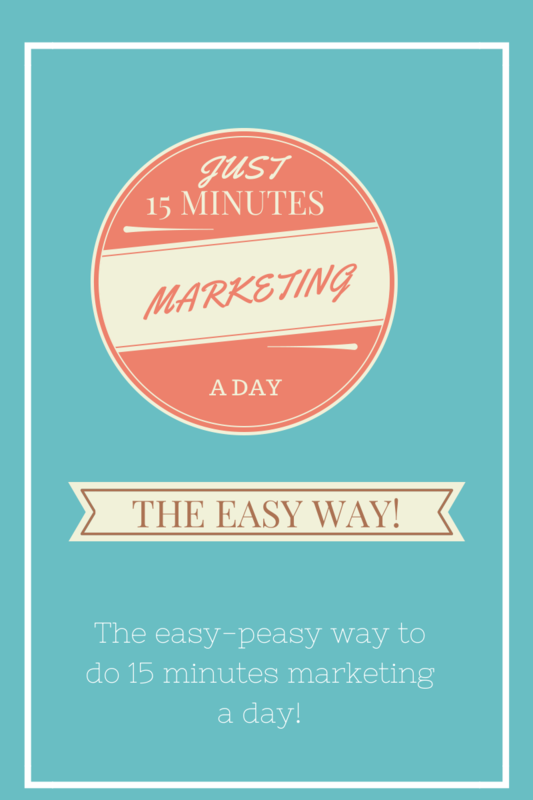 If you want to make marketing into a real habit, then do your 15 minute ‘thing’ EVERY day. Including on your days off. Ouch! But yes. It really helps! Pick easy things for your days off though- like reading and research if you enjoy that kinda stuff. 5. Once a week/every 10 days spend one of your 15 minutes’s thinking of another 15 15-minute ‘things’ to do! That way you will always have a nice chunky list to work through. Fancy giving this a try?! You might want to give it a really *proper* go for just one month and see what happens. I think you’ll be super-happy with the results! 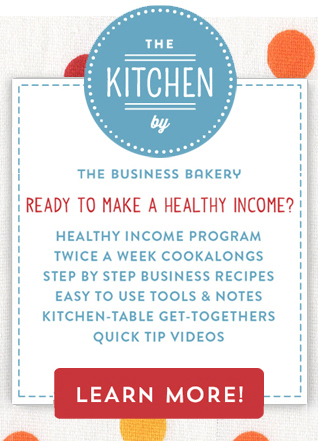 Our Healthy Income Program starts again on 7 September 2015. That’s SUPER soon! Fancy joining us. Details here. Willpower A FAB way to make your goals TOTALLY more achievable What to do with advice you didn’t ask for How to get something done that’s outstayed its welcome on your to-do list! 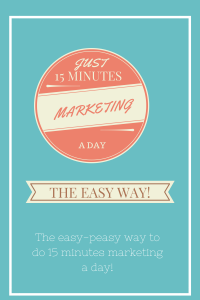 5 Comments on "The easy-peasy way to do 15 minutes marketing a day"
Thanks for the great tips will see if I can try it for a month. Glad you like them. Let me know how you go! Some really smart ideas thanks! I was planning some marketing time every day but it was for always the same social media type stuff. I like having a list of 100 ideas and then doing the 15×15 to get stuff done! Definitely going to try that! Ah really? So how long would you think to be optimal to spend on SM per day? I’d set aside 15 mins every day but my time is extremely pressured as I have 4 children under 3! So I really need to spend my time very wisely!